If you’re short on time in Lisbon, this is the ideal tour to cover a lot of areas in one day. 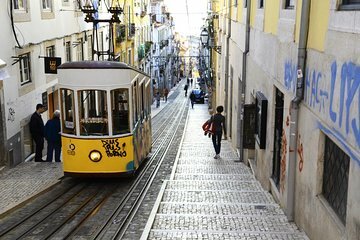 By traveling with a guide, you’ll get fascinating commentary about Lisbon’s history, and you won’t have to worry about getting lost. Visit Baixa, Praça Dom Pedro IV Square, Chiado, and Bairro Alto with a small group, and learn about their highlights.